Sunglasses are one of the most important items of gear for a hiker. They are also perhaps the most overlooked or ignored items. We tend not to pay too much attention unless we are looking for a pair for that ‘special’ adventure. I don’t go anywhere outdoors without a pair of quality sunglasses. The MAKO Shadow M12-G3SX sunglasses definitely meet the need of responding to extreme sun conditions as well providing good fit and even a bit of style. Its over 25 years now that MAKO Polarised Sunglasses launched onto the Australian market and they continue to be 100% Australian owned. MAKO has been at the leading edge of high quality polarised eyewear ever since and were one of the first Australian brands to introduce Polarised Lens technology. The Shadow sunglasses are a wrap around style that come in a range of colours including grey, brown and copper with a choice of glass or polycarbonate lens options. 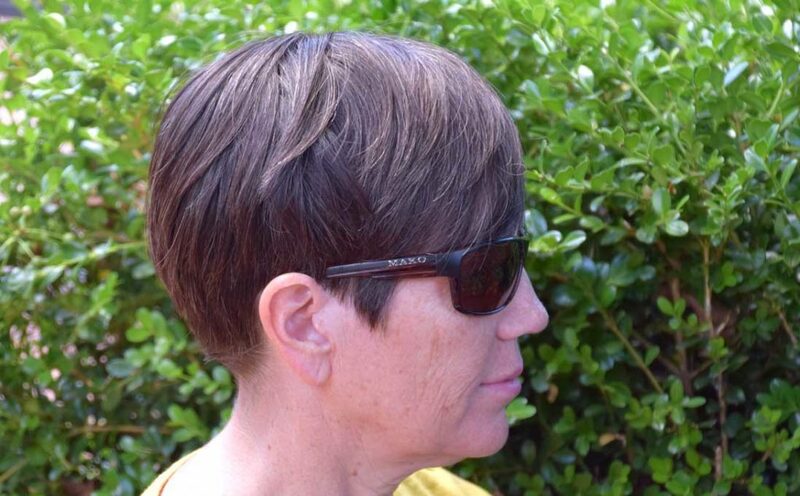 Cancer Council Australia recommends wearing close-fitting wraparound sunglasses outdoors to protect our eyes from ultraviolet (UV) radiation and the Shadow sunglasses meet that requirement. The M12-G3SX frames are plastic and the lenses are glass. This means they are light and flexible but also very strong. 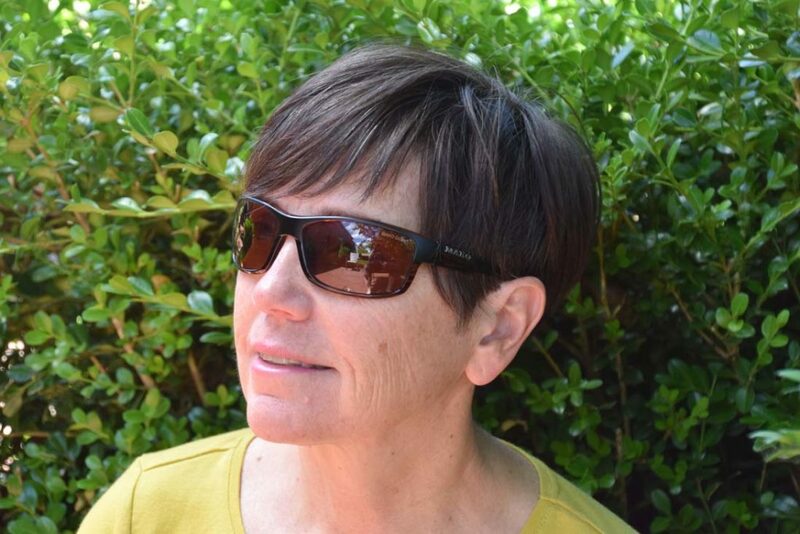 The Shadow range is marketed as men’s sunglasses but Gill has worn the Shadow M12-G3SX in the brown frame – they fit her well and she didn’t feel the styling was ‘too masculine’. The Shadow M12-G3SX copper coloured glass lenses provide high definition visibility and have 12 anti-reflective coatings. This all means that you will get great vision and protection while in the harshest sun conditions. These sunglasses also have been treated with Rain X (a hydrophobic coating) on the outer layer of the lens which means water beads up and runs off the lens – just like it does on the windscreen of your car. Another feature is that they have an oleophobic coating – a fancy way of saying they repel oil, dust, water and dirt which means they are easier to clean and less susceptible to scratching. All MAKO lenses are tested in the field across a wide range of activities from fishing and boating to race car drivers, bush walking and sports such as cycling and golf. 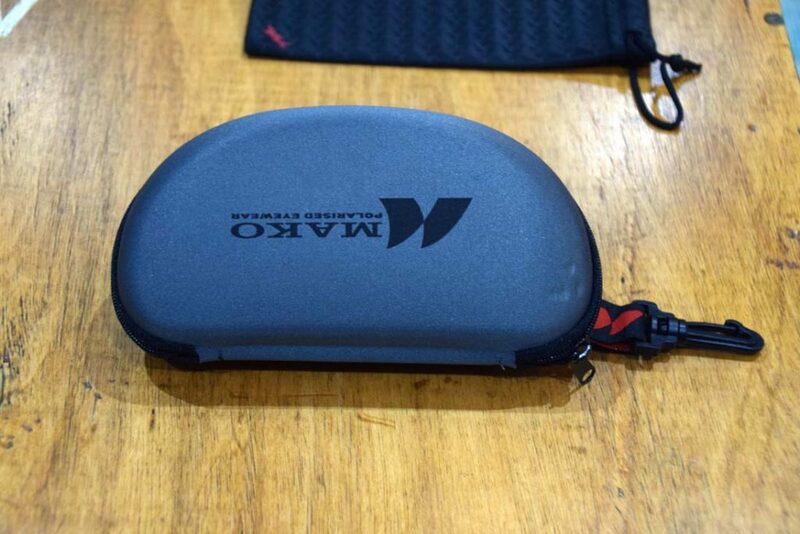 In addition, all MAKO lenses and frames are backed up by the MAKO 24 month warranty. The MAKO Shadow M12-G3SX sunglasses will withstand the harsh bush walking environments we traverse as well as provide a stylish option for when you are ‘between hikes’. There are so many choices on the market these days but we are happy to recommend MAKO sunglasses for any outdoor activity you may be undertaking. The prices on these sunglasses vary and they can be found on sale online however I would suggest that you go into a store to try them on to make sure they fit well.